Auto accidents are extremely traumatizing events. Victims are left not only emotionally scarred, but often suffer devastating injuries. This is particularly tragic considering nearly all car accidents could be avoided if drivers drove responsibly. If you were injured in a Corpus Christi car accident, Sahadi Legal Group can help you understand your legal rights and hold the negligent party responsible. Distracted Driving – Any distraction while driving, be it talking to a passenger, changing the radio station, or using a cell phone, is incredibly dangerous because drivers are not paying attention to the road. Driving Under the Influence of Alcohol or Drugs – Alcohol and drugs have an extreme effect on the body. These substances inhibit decision-making capabilities and reduce reaction times. Fatigued Driving – Every year, thousands of drivers fall asleep at the wheel and cause accidents. When drivers are tired, they suffer from decreased reaction times. 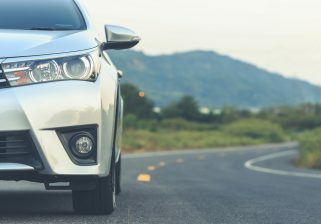 Speeding – Texas has some of the highest posted maximum speed limits in the country, but despite this, many drivers choose to speed far over the speed limit. Speed limits are put in place for reason, and ignoring them greatly increases the likelihood of an accident. Failing To Obey Traffic Signals and Signs – When drivers run red lights or blow through stop signs, they run the risk of colliding with other vehicles and injuring innocent people. Victims of auto accidents can suffer a variety of injuries, including Traumatic Brain Injuries (TBIs), spinal cord injuries, neck and back injuries, broken bones, lacerations, and abrasions, among other injuries. Injuries often place a huge financial burden on victims. The cost of emergency medical treatment, medications, ongoing physical therapy, and specialty medical treatment can put an extreme burden on victims and their families. The trial lawyers of Sahadi Legal Group can help you get the most compensation out of your Corpus Christi auto accident claim. We offer free consultations and there is no upfront cost for working with us. We work on a contingency fee basis, meaning you won’t owe us anything unless we help you obtain compensation. Call us today to schedule a consultation.